The Coriell Institute for Medical Research is a not-for-profit basic research institution with expertise in cell banking. The Coriell Institute houses a number of cell repositories, one of which is the Human Genetic Cell Repository (HGCR). The HGCR was established in 1972 by the National Institutes of Health (NIH) and continues to be funded by NIH, specifically the National Institute of General Medical Sciences. The HGCR was established to facilitate research on genetic disorders by collecting, storing and distributing cells and DNA to researchers all over the world. The HGCR contains one of the world's largest collections of human cells for use in research. The HGCR is always looking to expand the collection of samples so that researchers can have access to the material they need for their work. Currently, the HGCR is working to collect samples from individuals with inborn errors of metabolism including propionic acidemia. They are asking for a donation of blood, skin, or both. Once the sample arrives at the HGCR, it is processed and a cell line is established. The cell line is maintained, stored and made available to researchers via an on-line catalog. 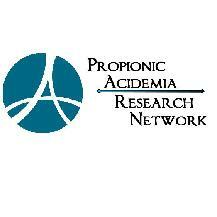 It is important to understand that research on your sample will not take place at the Coriell Institute but rather the sample will be available to any researcher interested in propionic acidemia. The Propionic Acidemia Foundation (PAF) is currently shipping kits to PA families who wish to donate blood or fibroblast samples to Coriell. PAF will include an optional questionnaire that you may fill out that will become part of a PA patient database for future researchers to be able to access. Please visit www.pafoundation.com/research.htm for more details. to create a PA database so long-term follow-up of patients is available. Coriell is collecting samples from affected individuals and also accepts samples from their first-degree relatives (parents, siblings, children). If you would like to donate, they accept blood, skin, or both, whatever you are comfortable giving. Tina Sellers coordinates the donation and will provide all the necessary materials and paperwork. Other than the actual sample, they need a consent form and a Submission Form that should be completed by your physician. The Submission Form asks for clinical information on the patient's diagnosis. This is very important so that the researchers who will be utilizing the samples have as much useful information as possible. The HGCR does provide collection and shipping kits for the samples to be obtained and shipped back to them. They also cover the cost of the shipping. In terms of the sample collection itself, it is usually easiest to have it done by a primary care doctor or other health care provider. If your PA patient, son or daughter has any doctor's appointments scheduled, Barbara Frederick can arrange to have blood collected at that time. Simply let Coriell know when the appointment is scheduled and a kit will be mailed about a week prior to the appointment or you may call the Propionic Acidemia Foundation at 1-877-720-2192.